We use some very sophisticated and complex digital marketing resources for our clients at Viral Solutions. Some of those tools may not fit your business. When you begin to search for alternatives the choices can seem overwhelming. Here, we have put together a short list of marketing resource tools that may help you be more productive and effective. Have you ever had an idea for a web or mobile application you thought would help your business but you simply didn’t have the know-how to build it yourself? Don’t worry! We have you covered with our custom development services. Our team develops a keen understanding of your business so we can create technological solutions to help you better compete in the global marketplace while streamlining your operations so you can focus on what you do best. The size of your business is irrelevant when it comes to online marketing — you want to be as up-to-date as possible with the latest trends and resources, especially when digital marketing efforts are what lead growth and revenue. You may be at a loss in terms of which resources to use, particularly when new ones seem to emerge hourly. We’ve collected several quality resources that offer good benefits to your business. Consider which best suits your company’s needs. Reply: E-mail marketing can be tricky, but Reply has figured out a way to add personality to cold emails. This resource helps you to automate your emails without generic, canned, impersonal communication. It’s used on those prospective clients who are early in the decision-making process, and can be used for sequential emails as well as to collect detailed analytics for your team. Mention: People are talking about you! Are they? This resource allows you to follow keywords and brand names as they appear in conversations on the internet. Because of the real-time tracking, you’ll never miss a beat and always be kept apprised of where the digital conversation is heading. It’s a great way to stay on top of trends and use them to your advantage with prospective clients. Unsuck It: This tool helps your blog copy flow and eliminate industry jargon. What terrible business jargon do you need unsucked? Unomy: A must-have tool for B2B sales teams, this resource helps your team to make smart, efficient sales. Unomy does it all, from building specifically targeted lists of prospects, to easily prioritizing your leads and opportunities. It also can examine potential partner companies and make notes of them. DeepCrawl: This is an excellent tool for examining your website’s usability and success. This resource helps you to determine what on your website is affecting your SEO conversions, good and bad. It analyzes your website’s structure and technical issues, and gives you an understanding of how to improve. Google Analytics: This free resource should really not be neglected when it comes to your digital marketing. 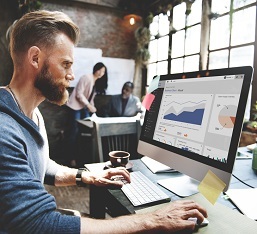 Google Analytics will give you incredible insights about your audience and how you can best connect with them. It can track conversion goals, analyze your target demographics, and measure the performance of your website. EventEspresso: Trusted by thousands, Event Espresso is the best WordPress event online registration and ticketing manager plugin–and the best supported with full-time support. With Event Espresso you get it all; everything from custom registration forms and emails, seating limits, multiple price options and discount codes to printable tickets. MeetEdgar: Edgar is a social media scheduling tool like no other. Instead of publishing your updates just once and throwing them away like yesterday’s rubbish, he carefully catalogues them in a library that you build over time. All of your updates are sorted into categories that you create and published on a schedule that you choose, so Edgar publishes what you want, when you want it. PowToon: Create animated videos and presentations. Create your amazing personal PowToons and use our Ready- Made Templates to interact, teach and inform in a fun and entertaining way with everyone you love. it’s free and awesome! It is easy to become bogged down with the plethora of digital marketing message distribution platforms and associated tools. We call that stage, multi-system chaos. At Viral Solutions we look at time savings and a better way to communicate to our audience. So if you feel you are wasting time and becoming overwhelmed with your marketing, may be these tools can help you or maybe we can.